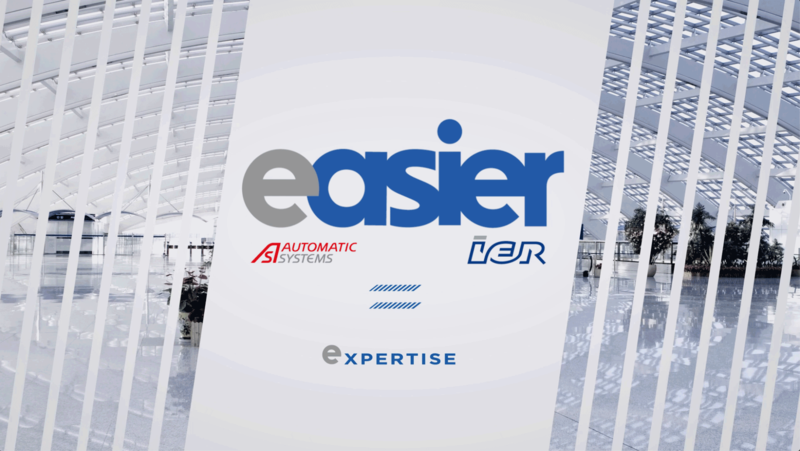 As a newborn entity of IER & Automatic Systems, EASIER will leverage the best of two of the world’s leaders and most successful airports, airlines and public transportation providers, while developing new products and services to offer a unique and differentiated passenger experience. PASSENGERS SYSTEMS EXPERTISE – IER and Automatic Systems, have lots of joint experience in passenger process solutions across the world. We know what it’s like to travel and how the ground journey can influence their experience as passengers. SOLUTION DESIGN –Our vision is to provide travelers with a memorable travel experience from the very start of their journey on the ground. VALUE ON INVESTMENT For Airport, Airline and Public Transportation operators willing to take the self-service experience to the next level, EASIER provides the most relevant offer -from check-in to access control and boarding- based on exclusive hardware, software, and services, helping them reduce costs and increase revenues while enhancing passenger experience. ROBUSTLY RELIABLE – Together, we develop a full range of high-end products that are founded on Automatic Systems’ and IER key strengths: performance, mechanical reliability, single-user detection, innovative style and throughput management.